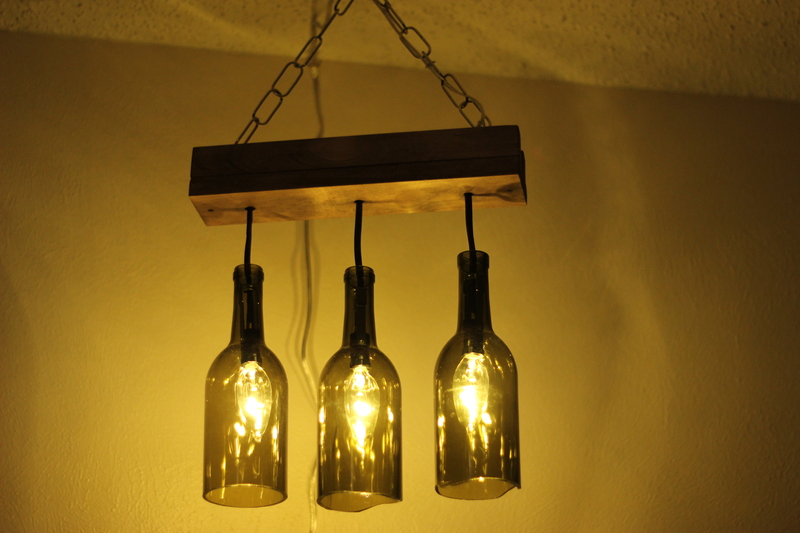 Ok, so I just made a small wine bottle hanging light fixture… not really a chandelier. 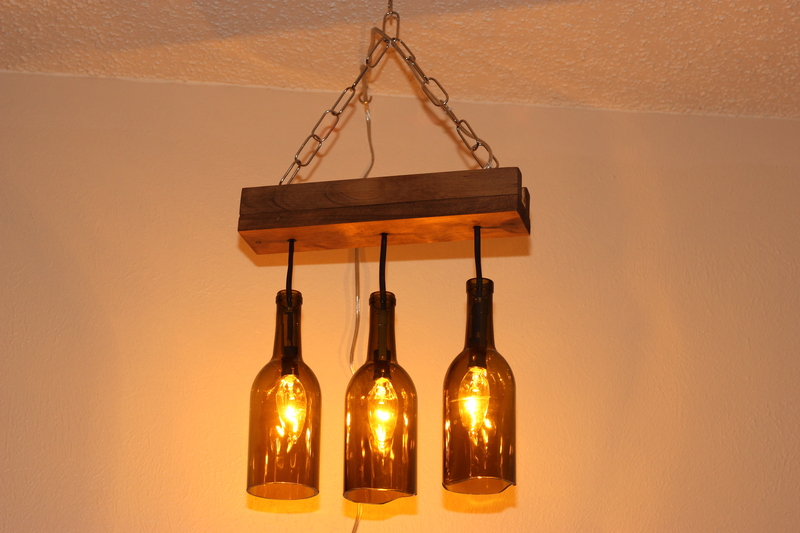 It’s been a project in the making for quite some time and a great way to break, I mean upcycle, some wine bottles. 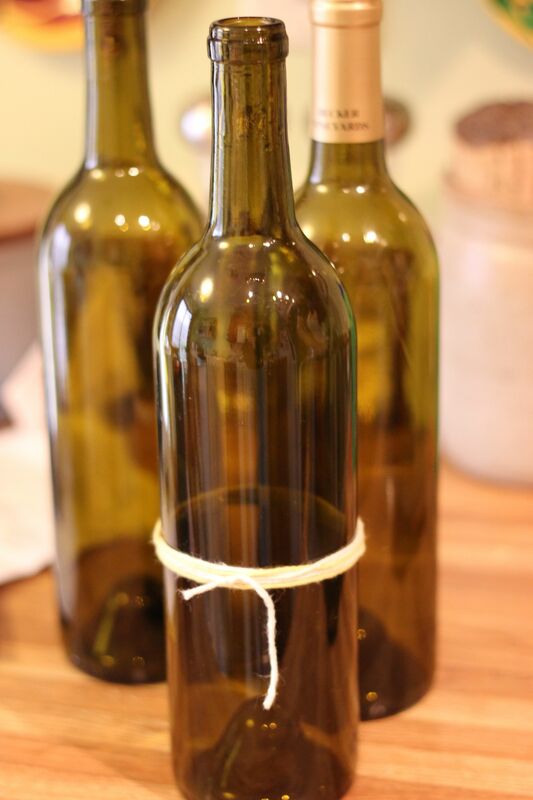 First, I had to figure out how to cut the bottom off of wine bottles. The internet was ripe with methods that didn’t work. First I tried a crazy idea where you dip string in acetone, tie it around a bottle and catch it on fire. 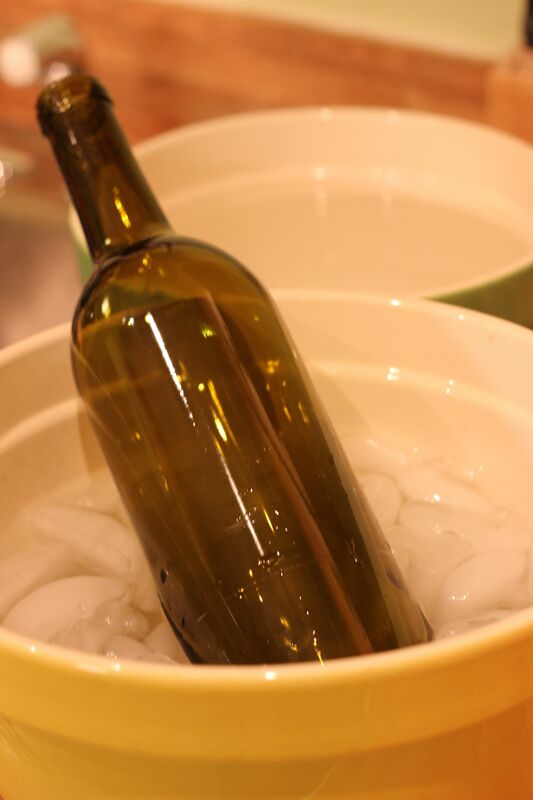 Next, I found a YouTube video that demonstrated how to use a makeshift jig to score bottles with a cheap glass scorer and then use the temperature difference between hot and cold water to crack the bottle. I was never able to get my jig to create a straight enough score so when the bottle did break, it just created a mess. After multiple rounds of trying to improve my jig, I settled on purchasing this Generation Green Bottle Cutter. After setting it up I got to practicing. And practicing. 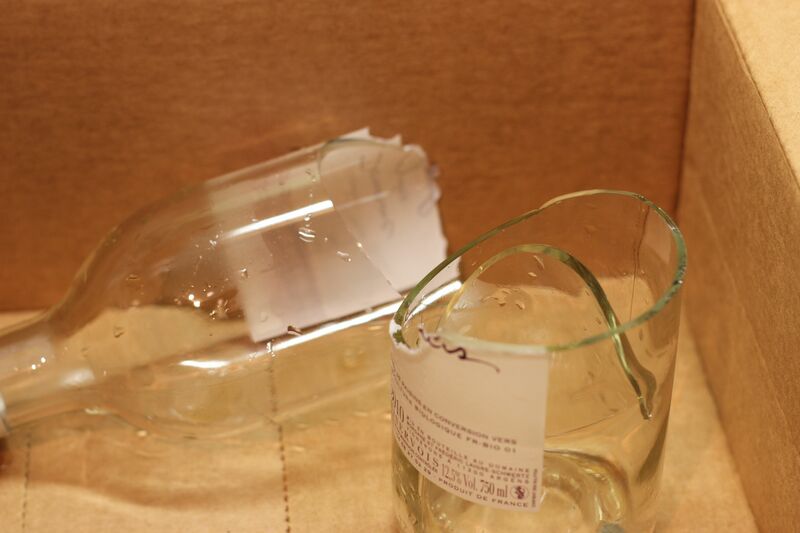 Getting the bottles to actually crack was the hardest part. I found that heating the bottle in the oven to 225 and then dipping it in ice water just ended in spider cracks everywhere. However, dipping the water in hot and then cold water took many dips for the most part and the hot water cooled down very quickly. It was important to keep the hot water very hot which I ended up doing by microwaving the bowl of hot water every few minutes. Pouring boiling water from a teapot onto the score slowly for a few seconds sometimes worked as well. When the score cracked, I could hear it and see the fact that the bottle was beginning to crack. 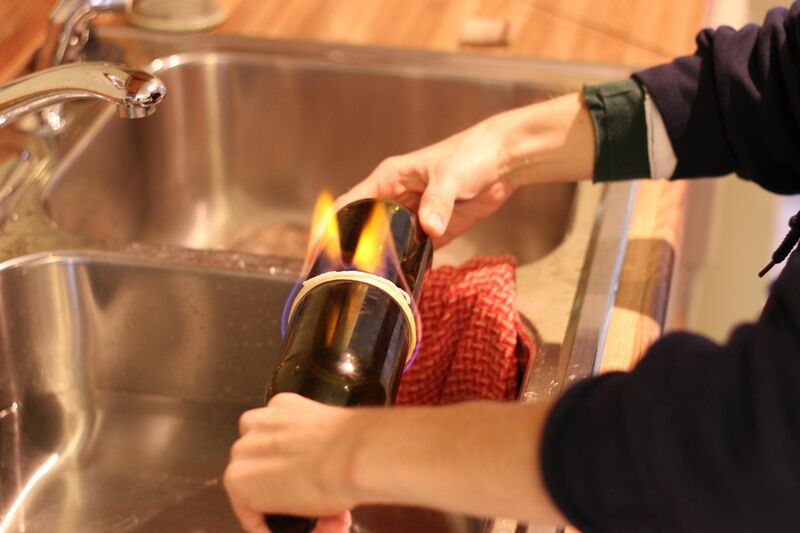 It often took a number of additional temperature changes before the bottle would separate altogether. The Generation Green Bottle Cutter came with a tapping tool that could be used to separate the bottle along the score if it wouldn’t crack. I tried this a few times but never created a straight cut. Even when just using the water a straight cut was rare. I think I created a perfectly straight cut 2 or 3 times and unfortunately only once with the color of bottle I wanted to use. I finally got 3 bottles cut close to straight so that I could use them in my chandelier. I then got my handy helper to cut the lumber into two 1 foot sections. One of the sections was split down the middle. 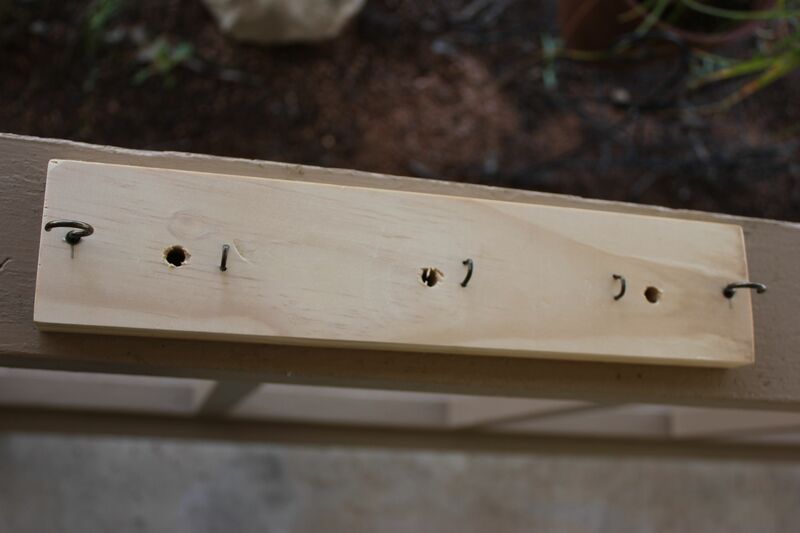 We attached two hooks on either end of the wider piece, drilled 3 holes for wires and installed metal staples to use to fasten the wires. We then glued the two smaller pieces to the wider one in a U shape and I stained the wood. 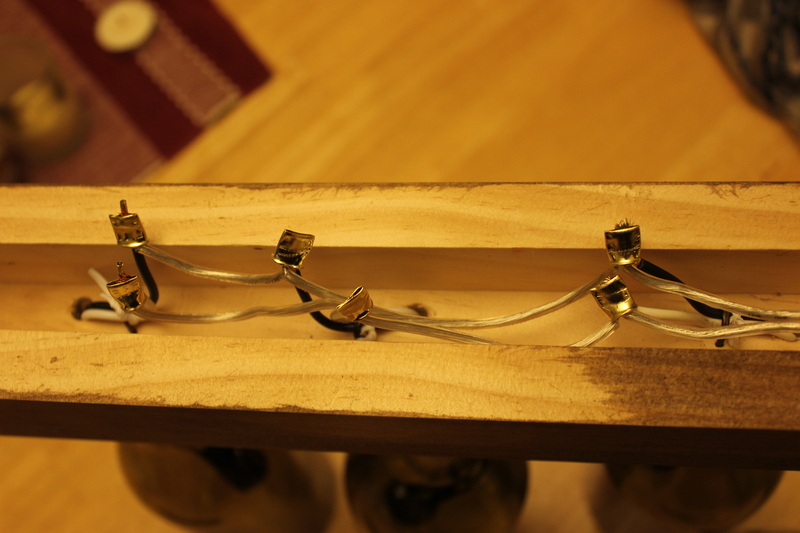 After the U was constructed and stained, It was time to insert the candelabra sockets in the bottles and start wiring them up to the plug. I used the crimp connectors to wire the three sockets in a parallel circuit. After the wiring was complete, I covered the connections with heat shrink wrap and electrical tape. It was then time to hang the mini chandelier! After hanging it above a dresser, I found the best place to insert the switch that came with the swag kit. I loved the look of this light enough that i used it as inspiration for my similar project. 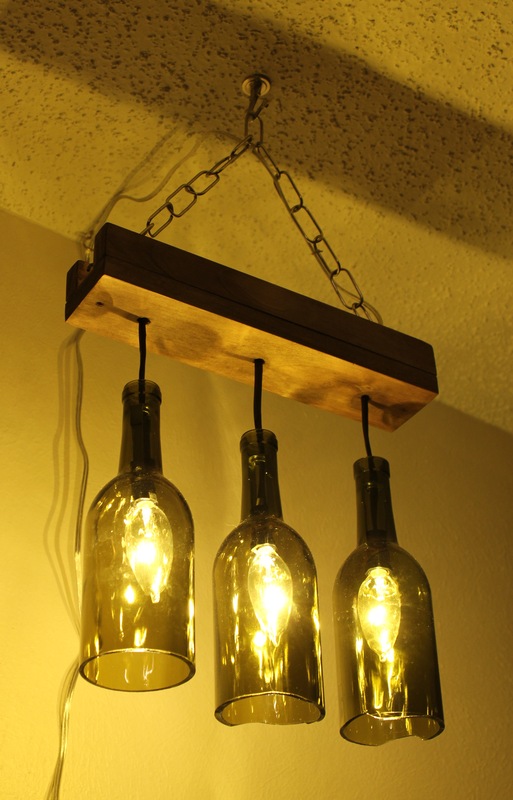 I made a similar looking light with six wine bottles and used an old pallet for lumber to make the frame. Wow, that looks great! Thanks for sharing. 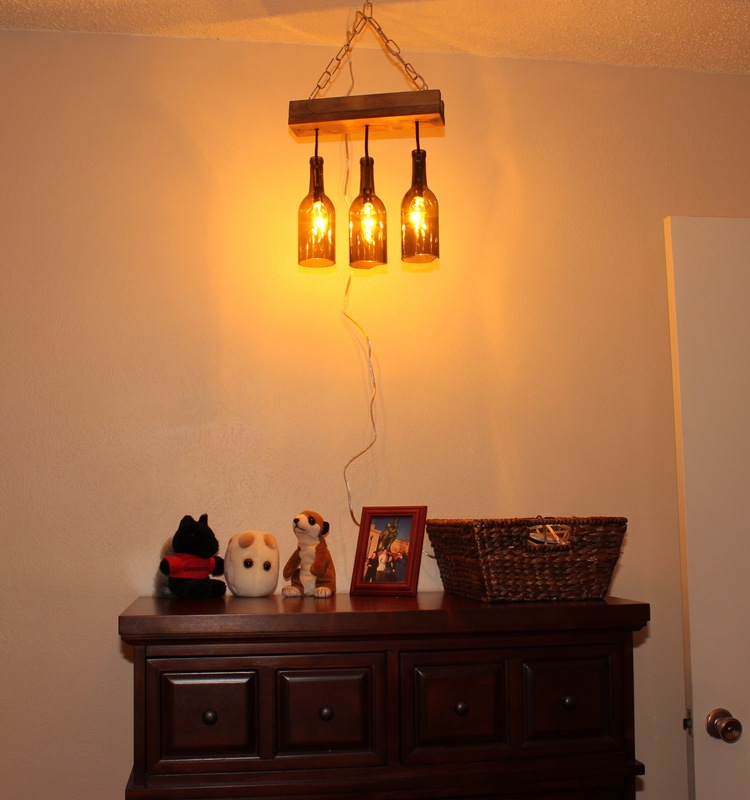 Like BottleDecorDesign on Facebook – I make and sell pendant bottle lamps!